Hey lovelies! I have another Petunia Skincare product review for you. 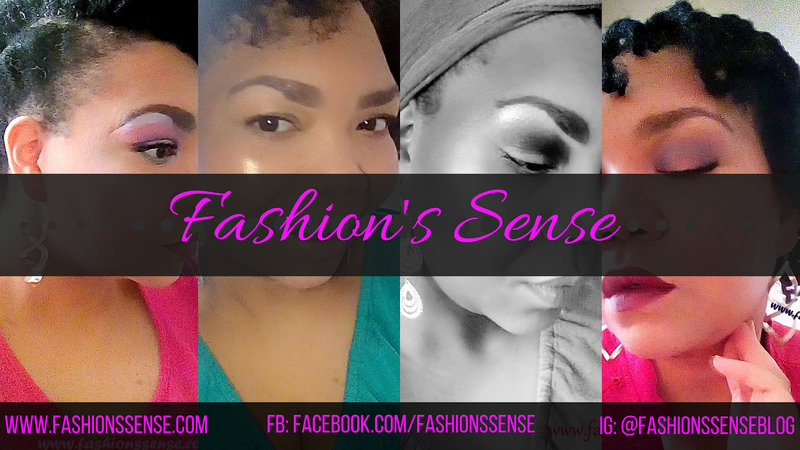 In case you missed it, I have become a fan of this brand after using their Professional Makeup Brush Kit. 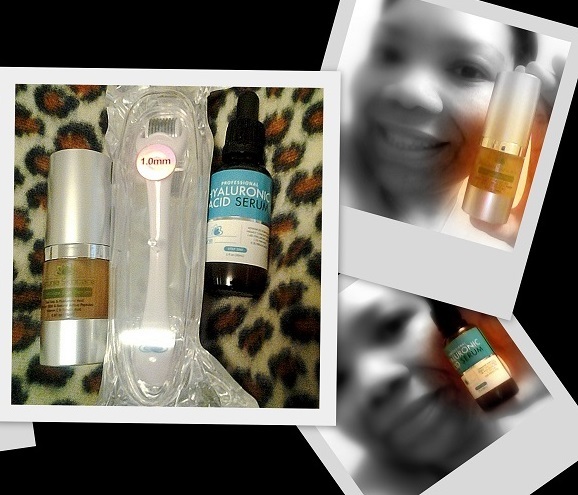 Now I am reviewing their three-part system featuring their Derma Roller, anti-aging serum, and eye serum. I was a bit nervous trying these out, but once I used them it was all gravy, baby. I received the PS Derma Roller from Petunia Skincare for me to test and review. I've never used, yet alone heard of a Derma Roller before the company agreed to send me one free to test. When the item arrived, I was a little scared -- the thing has spikes! Well, they are described as needles, but I was nervous to try it because I did not want to puncture my skin and have blood running down my face. I am not into the Kim K-West blood facial thing. I sucked it up and tried the roller. I washed my face first with a gentle cleanser cloth and rinsed the Derma Roller off with hot water. I gently rolled the device over my face. You are not supposed to use the roller on acne, for obvious reasons, so I avoided the zit I had on my chin. After rolling (carefully) for five minutes, I looked at myself in the mirror. My skin was a little red, about the same amount of flush I get from a face scrub. The real test was afterwards. The Derma Roller has many benefits; one of them is to aid in the absorption of skincare products to maximize their benefit. I have to say that it did do that. You only use the roller once every few weeks because your skin has to heal and repair from the needle pricks. I can say I don't need to use my face scrub since the Derma Roller. Which is good news because I'll get to save money on that. This serum is pretty darned fantastic! I used this serum twice a day for two weeks. You apply it to freshly cleaned skin while it is still damp. After using the Derma Roller this serum absorbed into my skin really fast! A little goes a long way. At 37, I don't have many aging skin concerns yet. I do need help with texture and tone due to the winter season drying my skin out and acne scars. After two weeks, I noticed a vast improvement in my skin's texture. The rough feel it tends to have on my cheeks is gone. My skin is spring/summer smooth. I do see my skin tone evening out. I look like I am wearing tinted moisturizer! I will do an update after two months pass to see if any additional improvement can be seen. If this serum makes me look like I have on full-coverage foundation, then I will have to make a YouTube video about using my own not-so-cute voice. I am ever so grateful to Petunia Skincare for giving this to me free to review. While I am starting to get the hint of laugh lines at the corners of my eyes, I probably would have waited another year before I began buying eye creams. This powerhouse eye serum works fast! Since I began using it, I have not had any puffiness around my eyes. The skin does appear to be tighter and my dark circles have lightened up significantly. Those laugh lines I told you about earlier -- I can't even see them and I barely feel them when I run my finger over the areas. I haven't liked an eye skincare product this much since I had a sample of Caudalie's Premier Cru the Eye Cream. PS Revitalize Eye Serum Anti-Aging and Firming Treatment is half the price of the Caudalie eye cream. All three are great products. 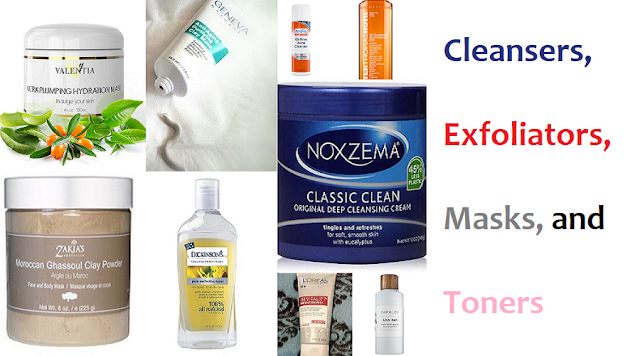 If you compare how often you have to buy face scrub, you will find the Derma Roller will save you money in the end. The two serums really do help improve your skin. I can't say how well the products do on mature skin that has deeper wrinkles and is thin. However, if you are just beginning to see the signs of aging like I am, then these three products can help slow down the aging process. Oh, and I forgot to mention that you do receive an e-book with the purchase of the Derma Roller explain how to use it and goes into greater detail on its benefits. What anti-aging products have you tried? Did they make any difference to your skin's appearance?